This ultra-stylish space grey Apple MacBook Pro has been designed with power and performance in mind – the perfect addition for life on-the-go. It’s rocking a 10 hour battery life and is light enough to carry around all day long, weighing just 1.37kg. Whether you’re under the office lights or camped out in the park, the 13.3 inch Retina Display ensures everything looks bright and vibrant. 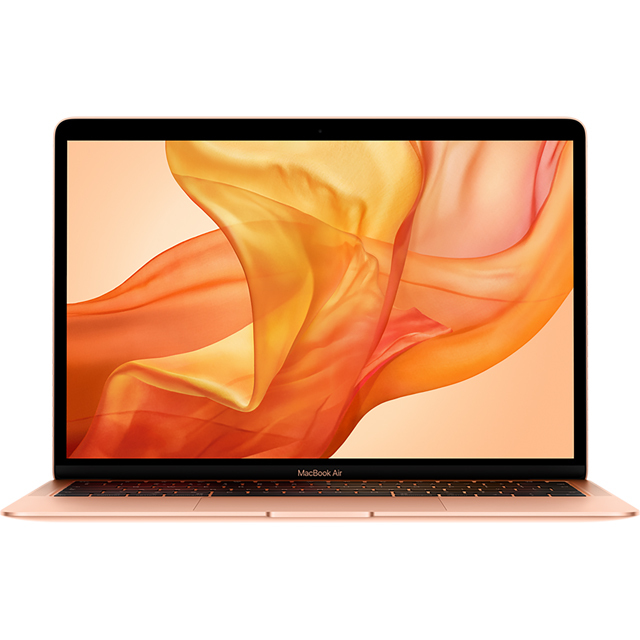 The innards are great too, with a 128GB SSD offering quick start times and plenty of storage, and a combination of 8GB of RAM and an Intel® Core™ i5 processor to keep it running smoothly. Plus, the multi-touch trackpad makes navigating apps and menus a breeze. For some great software, don’t forget to pick up an essential antivirus package and Microsoft Office. Apple are paving the way with innovative features and incredible new technologies, as well as creating a product you can be proud of - the ultimate statement piece. Their aim is to bring together all the tech in your life – and have it work as one, so you can get the very best from both work and play. With intelligent operating systems like macOS, you never need to worry about compatibility – as you can still use all your favourite PC programs like Microsoft Office. Combining power, performance and unrivalled style – Apple products are both a pleasure to look at and a pleasure to use. macOS is the operating system that you’ll find on your MacBook or iMac. The easy-to-use interface is pre-loaded with programs – such as Safari and iTunes. It’s fully customisable too and is easily optimised for other programs, such as Office or Photoshop – helping you to build your dream device. Apple’s Force Touch trackpad detects both the pressure and direction of your fingers when you’re swiping, clicking or scrolling. This opens up new features on your Macbook, and gives you added functionality in your favourite apps. You can also use Force Touch for more efficient navigation to access shortcuts and lookups when you need them. With Apple’s Butterfly Mechanism you’ll enjoy a super-smooth typing experience. The special design means your keyboard responds to every tap with incredible precision – eliminating key wobble. Thanks to this clever technology, your keyboard is slimmer and sleeker without compromising on comfort. Apple’s special Retina Display means you’ll be able to enjoy every detail on screen in high definition. Pictures are clearer without any pixilation, so whether you’re playing games, watching a movie or working on graphic designs, you’ll see every detail in crystal clear clarity. This model has Apple’s Wide Colour Gamut – clever technology that delivers incredibly vivid, life-like colours. Unlike standard screens, Wide Colour Gamut uses a wider spectrum of colours, contrasts and shades – so every image, app or game will be brought to life. This model has a built-in FaceTime camera. It can capture images and record video in high definition – so whether you’re making a video call or taking a photo, you’ll get brilliant image quality. It’s also perfectly optimised to be used with the FaceTime app – so staying in touch with friends and family has never been easier. 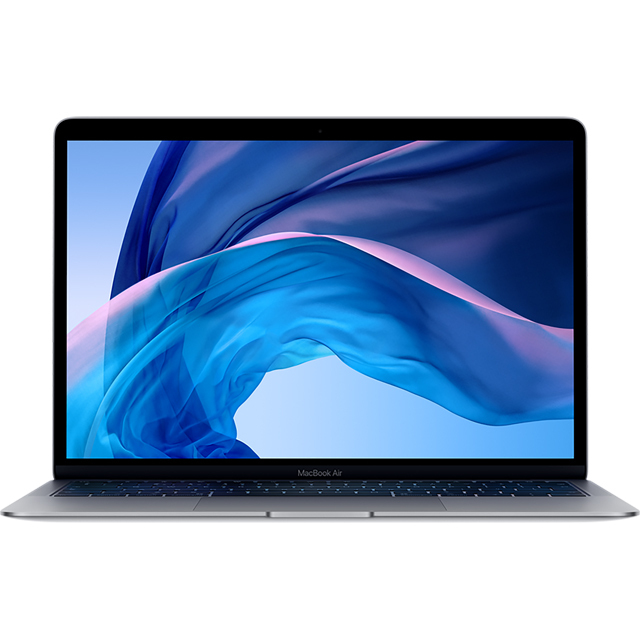 Apple are known for creating stunning products that look incredible – and the flawless aluminium UniBody design of this model is no exception. The sleek outer shell is made from a single, perfectly moulded, piece of metal. The result is an ultra-thin, lightweight design with smooth lines and stylish finish. Thunderbolt combines data transfer, video output and charging in one compact connection. It’s eight times faster than USB 3.0, meaning it’ll transfer 25,000 photos in less than a minute. It’s also powerful enough to support a single 5K display, or two 4K displays at the same time. Don’t worry about compatibility – if you have VGA, USB or HDMI, you can simply purchase an adaptor so everything will work perfectly. Microsoft Office is essential software that doesn’t come loaded on your new device. It provides you with all the tools you need to get your work done. Whether it’s Excel, Word or OneNote, each Office application is packed with easy-to-use features to optimise your time and creativity. Choose from Office 365 Personal or 365 Home, which are subscription services that can be installed across a range of devices. There’s also Home and Student 2016, which is a one-time purchase. Impress, create and inspire with Microsoft Office. Antivirus software is essential. It doesn’t come loaded on your device, so you’ll need to buy it separately. 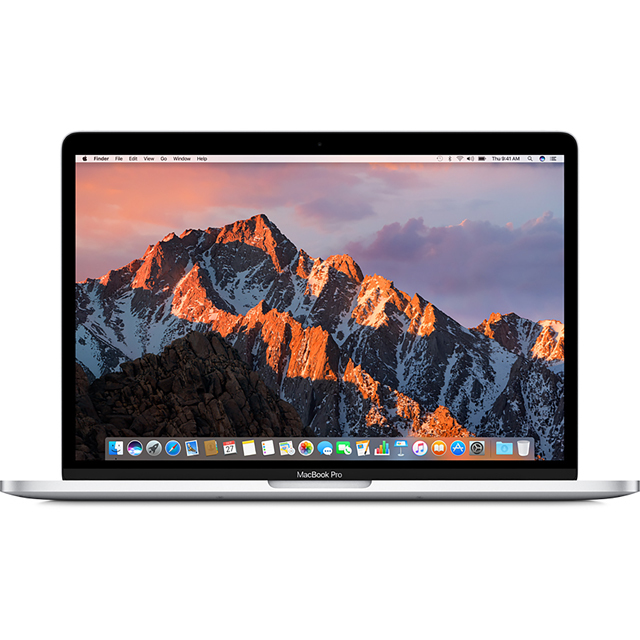 It will protect your iMac or MacBook from nasty online threats like malware, spyware and viruses – which can all affect your computer in different ways. Antiviruses help keep your details and transactions safe too – so you can shop online with confidence. What’s more, many come with parental controls which are perfect if your family like to browse the internet. We stock both McAfee and Norton packages, so you can choose the perfect antivirus for you. I’ve wanted a MacBook for a long time and it certainly didn’t disappoint. The size is perfect for taking it with you on long commutes and it’s lightweight and easy to carry. The macbook came fairly fast and there was no problem with delivery. My daughter is happy with it and she used it for college use everyday. So far she said she didn’t have any problems apart from the cap’s lock button glitching sometimes, bit other than that it’s great!!!! I also purchased the Microsoft office digital download, but she hasn’t tried it out just test but I’m sure she’ll be happy!